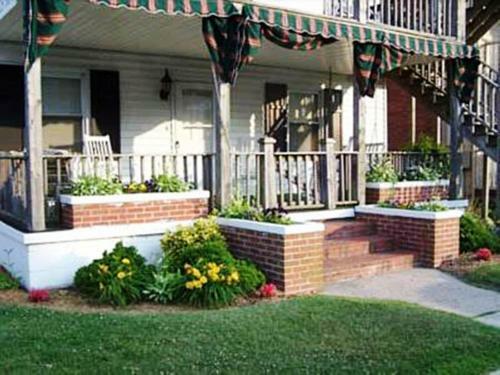 Mayflower Apartments in Ocean City is an apartment building. Ideally located just 2 minutes’ walk from the beach and boardwalk, Mayflower Apartments offers self-catering accommodation in Ocean City. Free WiFi access is available. A balcony, washing machine and tumble dryer are included with each apartment. The full kitchen is equipped with a hob and oven. Free parking is available at the family-owned Ocean City Mayflower Apartments. If you feel like visiting the surroundings, Jolly Roger at the Pier is 3 minutes’ drive. Ocean City Convention Center is 5 m...inutes’ drive. Ideally located just 2 minutes’ walk from the beach and boardwalk, Mayflower Apartments offers self-catering accommodation in Ocean City. Free WiFi ac...cess is available. A balcony, washing machine and tumble dryer are included with each apartment. The full kitchen is equipped with a hob and oven. Free parking is available at the family-owned Ocean City Mayflower Apartments. If you feel like visiting the surroundings, Jolly Roger at the Pier is 3 minutes’ drive. Ocean City Convention Center is 5 minutes’ drive. When would you like to stay at Mayflower Apartments? Guests are required to show a photo identification and credit card upon check-in. Please note that all Special Requests are subject to availability and additional charges may apply. Please inform Mayflower Apartments in advance of your expected arrival time. You can use the Special Requests box when booking, or contact the property directly with the contact details provided in your confirmation. Please note, linens are available for an additional USD 50.